To paraphrase a timeless Bob Dylan song, “The Times They Are A’ Changin’” is no understatement. You can read the details from across the globe in the news every day and are rapidly happening simultaneously on political, economic and social levels. And business is also making radical changes in the sustainability and corporate social responsibility (CSR) frontier. One area that appears to be in movement is Procurement. You know, those folks on the third floor in the back that order stuff? Well, wrong! I’ve maintained that the heart of a sustainable supply chain runs through its procurement function. That’s because every product- every single purchase- has a hidden human health, environmental and social impact along the entire supply chain. My previous posts have discussed how the procurement function is a vital cog in product value chain. Purchasing staff are the “gatekeepers” that can access powerful tools and serve as a bridge between supplier and customer to assure that sustainability and CSR issues are taken into account during purchasing decisions. 2010 was a watershed year for sustainability initiatives and supply chain management and I predicted that 2011 would see greater progress. So I was incredibly excited when I recently got my hands on a relatively new white paper from Ariba, entitled “VISION 2020 -Ideas for Procurement in 2020 by Industry-Leading Procurement Executives”. According to the conveners of the document, the “objective [of the effort initiated in 2010] is to initiate a dialogue on the future of procurement and to create a roadmap for how to get there.” For that, they connected with leading practitioners and executives from around the world and across a variety of sectors to share their ideas, best practices and to read the tea leaves as to where procurement might be in 10 years. And while the initial report laid out some pretty intriguing and widely varying trends and predictions about the state of procurement in the corporate function, I was unfulfilled. I was all ready to read about how the emergence of sustainability in the marketplace was going to drive procurement decisions. I expected to hear how top flight companies around the world were collaborating with their supply chain, implementing staff training on ‘green purchasing’ practices, and implementing sustainability driven supplier audits and ratings scorecards. Boy, was I wrong! Only ONE mention of the word “sustainability” (thank you Dr. Heinz Schaeffer, Chief Procurement Officer, Northern and Central Eastern Europe for AXA), and no mentions of “responsible sourcing”, “green supply chain” or “sustainable sourcing”. I would have expected more from chief procurement representatives from the likes of KeyBank, Maersk, Sodexho, and former execs from Hewlett- Packard, General Motors, and DuPont. Most of these companies are generally considered leaders in the sustainability space. So why would there be a disconnect between what companies are doing in design, manufacturing and product life cycle management and the procurement function? Before we go too far, its helpful to define what “sustainable procurement” is. While there is no singular definition for it, I like the definition offered up by the UK-based Chartered Institute of Purchasing & Supply (CIPS). CIPS definition is “a process whereby organisations meet their needs for goods, services, works and utilities in a way that achieves value for money on a whole life basis in terms of generating benefits not only to the organisation, but also to society and the economy, whilst minimising damage to the environment.”. And what CIPS defines as ‘whole life basis’ is that “sustainable procurement should consider the environmental, social and economic consequences of design; non-renewable material use; manufacture and production methods; logistics; service delivery; use; operation; maintenance; reuse; recycling options; disposal; and suppliers capabilities to address these consequences throughout the supply chain” [emphasis added]. It’s a good thing that the authors from Ariba stated that “The [2020 Vision]report is intended not as an end, but rather as a point of departure for much discussion and debate around where procurement can and should be setting its sights for the year 2020 and beyond. In fact, Ariba invites readers to “join the debate and to extend the discussion with new ideas by joining the conversation. I have and I hope you will too. But I think I’ll start right here first. Procurement devolves- with spend management requirements shrinking, companies are being forced to optimize what resources they have and make better informed decisions. More work at the business line level will occur, possible eliminating the central procurement function entirely. Money and metrics will drive most decisions as companies face leaner profit margins. There will be a need to engage end customers more and more and leverage relationships. The new supply management emerges– some traditional sourcing functions may become outsourced. Strategy “will tie directly to an enterprise’s end customers and it will be more cognizant of the diversity of desires and requirements within the customer base”. Skill sets change. The Chief Procurement Officer and staff must have broader skills that allow them to not only create opportunities for revenue enhancement internally and optimized “spend”, but also be more in touch with end customer values-driven needs. Procurement staff need to be tuned into multiple tiers of the supply chain, dive deep “inside the supply chain and bring [issues] forward to the designers within [individual] companies”. Instantaneous intelligence arrives. Market pricing will become more transparent [the Cloud forces transparency to some degree]. Companies will have to rapidly extract innovation and other value from supplier bases, and build exclusive commercial relationships with leading suppliers that share both risks and rewards. Collaboration reigns- There will be as the report notes a “big emphasis on driving and taking innovation from the supply base… the supply role will be less ‘person-who-brings-innovation-in’ and more ‘person-who-assembles-innovation-communities-and-gets-out-of-the-way’. Suppliers are being asked more often to participate in early design and product development as a way to leverage risk and control overall product life cycle management risks. Risk management capacity and demands soar– as companies are already realizing, effective procurement relies on response to risk management variables (financial, ethical, and operational performance). Companies must create “360-degree performance ratings and provide greater transparency into market dynamics, potential supply disruptions, and supplier capabilities”. A few participants noted that there will be a “big expansion in the kinds of risks companies address in their supply chains, considering, for example, such things as suppliers’ sustainability, social responsibility…”. Now if I read in between the lines, I can easily pluck out a number of key procurement trends from the 2020 report that transfer well to sustainability and responsible sourcing. Risk Management. Collaboration. 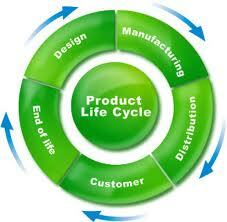 Design phase (life cycle) engagement of multi-tiered suppliers. Key performance metrics. Responding to consumer demands. Supplier performance ratings. One takeaway for me appears that there may be a disconnect still between the procurement function and other functions within organizations. So is the procurement function still operating in obscurity in most organizations? It all depends who you talk to but also on your skill at reading the tea leaves. Rest assured that compared to only a few years ago, more companies that are seeking to manage the life cycle environmental impact of their productsfrom design and acquisition of materials through the entire production, distribution and end of life management. They’re finding sustainable procurement to be a valuable tool to quantify and compare a product or component’s lifetime environmental and social impact early on in a products value chain while positioning the company for smart growth in a rebounding economy. We may be at a sustainable procurement “tipping point” and Part 2 will present the results of a very promising benchmark report recently released by HEC-Paris and Ecovadis, which tells a much different story. 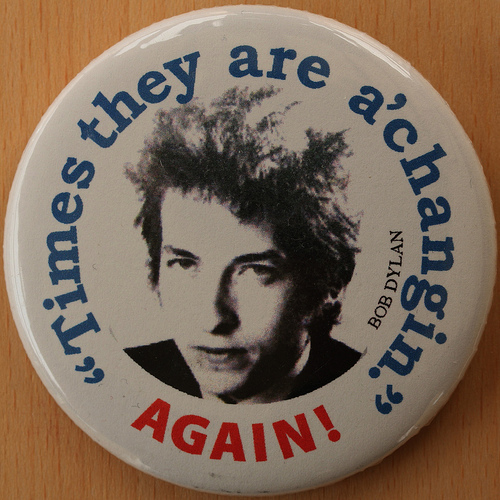 The times they are [indeed] a’changin’. Five Reasons that Sustainability and Supply Chain “Greening” Will Stick in 2011. Economics- Contrary to popular belief, making the business case for making sustainability ‘operational” within an organizational supply chain is becoming easier, not harder. With the availability of more data from ‘first movers’, procurement managers, environmental directors, design engineers, marketing/communications staff and operations managers (among others) are able now to make strong business cases in favor of looking at operations through a green lens. In addition, barriers to global trade brought on by increasing environmental regulations, more stringent restrictions on hazardous substances, greater emphasis on lean manufacturing, and increased supplier auditing and verification are creating the critical mass toward a new norm in supply chain management and expectations. Seeking efficiencies in supply chain management and producing products while reducing waste continue to be a vital imperative in a recovering economy. Those who neglect to critical evaluate their operations from a sustainability point of view this year will be cast to the side. Climate Action- Supply chain sustainability is affecting shareholder value, company valuations and even due diligence during proposed mergers and acquisitions, the report said. It added that shareholder actions on sustainability performance and transparency were up 40% in 2009. An article in the Environmental Leader last month described how climate change was playing an integral role in corporate supply chain decisions. A very insightful report by Ernst and Young note that “As carbon pricing becomes established in various jurisdictions, organizations will face risks from compliance obligations. This will impact cash management and liquidity, and carbon-intensive sectors may see an increase in the cost of capital.” Still much work still remains to infuse green thinking in the C-Suite. Little more than a third of those executives surveyed indicated that they were working directly with suppliers to reduce their carbon footprint, or have just started discussing climate change initiatives with their suppliers. And now, the World Resources Institute is completing authoritative new supply chain and product lifecycle greenhouse gas protocols that will frame what’s expected to be a burgeoning wave of value chain sustainability accounting and reporting. Stay tuned! Disclosure and Accountability- As I’ve previously noted, supply chain management became widely recognized in 2010 as a key factor in measuring the true “sustainability” of an organizations practices and processes, and ultimately its product or service. Increased attention will be paid this year on conflict minerals (because of the recent passage of the Dodd-Frank Wall Street Reform and Consumer Protection Act of 2010), fair labor and other social aspects of sustainability, ongoing management of hazardous substances in toys and other consumer products, and looking at the supply chain to manage risks and liabilities from product recalls and other environmental impacts of products and services. The concept of “materiality” in corporate social responsibility and product disclosure (FTC Green Guidelines) and SEC financial reporting is taking on new meaning from a supply chain perspective. ‘Materiality’ in terms of supply chain or network management will require more rigorous implementation and oversight of ethical business practices and practicing proactive environmental stewardship through-out a products value chain. Suppliers play a key external role in managing the environmental, social or financial issues within the product value chain. I will treat the issue of sustainable supply chain management and materiality in an upcoming series. Watch for increased supplier requirements, third party verification (like ISO 14001, GS-GC1 and ULE 880) and more upstream accountability. Innovation and Collaboration– the emergence of collaborative opportunities among larger manufacturers creates entry points in the market for smaller, intermediate products manufacturers as well. Larger companies are identifying the critical supply chain partners that have the greatest product impact and begin seeking ways to collaboratively address the environmental and social footprint of their products through the value chain. A new report even suggests that consumers will play a leading role behind greater supply chain collaboration. The report, by CapGemini suggests that while suppliers are independently seeking more open, collaborative ways to move goods, consumers may be “… the trigger for an optimized collaborative supply chain flow: this next level of supply chain optimization is based on transparency and collaboration.” More specifically, “Consumer awareness about sustainability demands a more CO2-friendly supply of products and services”, the report notes. Life Cycle Design and End-of-Life Product Management– There are increased challenges that the waste management industry is facing, wider attention paid to greener packaging and increased emphasis on financial accountability is being felt in world markets. Establishing a reverse logistics network that supports life cycle design, Extended Producer Responsibility (EPR), and “demanufacturing” processes will take on higher meaning in 2011. According to a recent white paper issued by sustainability expert and colleague Gil Friend, EPR is a market-based approach that effectively assigns end-of-life responsibility and product stewardship to producers, requiring them to meet specific targets for material recycling and recovery, relative to the total amount of packaging that they have put into the marketplace. EPR helps to shift the responsibility for collecting packaging and end of life products from financially tapped out local government to producers. But upstream of the manufacturing process, EPR success can be achieved through incentives for companies to take a closer look at how they design products for better end-of-life management (life cycle design). Producers are not alone in addressing the social and ecological impacts of their products. Manufacturers must engage their supply networks to help drive EPR upstream; however, downstream customers play a role too. So producers and consumers should strive in 2011 to continue a dialogue about what to do to improve the profile of consumer products in a way that’s a win-win for all affected stakeholders. So there it is from my view of the world. Five sustainability and supply chain challenges that were framed out in 2010 and look to stick in 2011. Did I miss any? Please chime in and share your thoughts. Thus starts a research study conducted by Resources for the Future scientists that I recently reviewed. http://www.rff.org/RFF/Documents/RFF-DP-09-05.pdf. As a sustainability and management systems practitioner, the executive summary caught my eye. Yet another tangible “business case” for implementing proactive ISO 14001-2004 based environmental management systems was made. I find myself to be challenged to steer clients toward the tangible evidence of ISO 14001-2004’s (http://www.iso.org/iso/iso_14000_essentials) benefits to organizational competitiveness versus attempting to address the many intangible issues surrounding the “green” or “sustainability” mantra of the day. Well aren’t all of these approaches “good”, one might ask. The unequivocal answer is “yes”. What remains then is decided which approach is best for an organization to undertake and where is the greatest value-added benefit that can be realized. In its most basic terms, the purpose of the ISO 14001-2004 standard is to help all types of public and private organizations to protect the environment, to prevent pollution, and to improve their environmental performance. ISO 14001-focused EMS’s remain as relevant today as they were in the late 1990’s and early 2000’s when manufacturers were literally lining up at the door seeking assistance. I would argue that in today’s economic climate, rapid expansion of supply chain drivers and pending explosion of renewable energy technology, that the time may be ripe for a new look at the business appeal of ISO 14001-2004. While “sustainability” is all good, the concept remains fuzzy to most organizations, because there is no standardized approach that can tightly define its boundaries. And perhaps that is a good thing since the aspects of sustainability are widely diverse and the organizational needs are so variable. The three spheres of sustainability (environment, economy, equity) and the “sweet spot” that companies are aspiring to achieve is vague to most, elusive to many. Review your business plans short and long term objectives- assess what your current state and desired state looks like with respect to environmental compliance, green supply chain management, and process optimization. Be keenly aware of your external business drivers and what will stimulate business growth. Know what your supply chain is requiring – what are the critical success factors to keeping their business. Update the competitive intelligence of your competitors to know what is guiding their capture strategies and tactics. Develop a formula for success that addresses business, environmental and stakeholder factors that leads to tangible, real results. Now go out there and keep your eye on the bulls-eye! What Really Matters in Business Happens at the Edges- Take the Lean and Green Challenge! Is the economic downtown turning a corner? Well, yes it is…just which corner it’s turning no one really knows…yet. In the meantime, most companies are sitting tight, private capital is hanging on the sidelines, and the “green” natives are getting restless. So it was with great interest that this week an article was published in the MIT Sloan Management Review which echoed the sentiment that I have carried forward with my clients for years. Recalling Michael Douglas’ “Wall Street” character’s statement that “Greed is Good”, MIT Sloan’s basic message is… “Green is Good”. –Old Thinking: Companies have long mistakenly thought that adopting environmentally friendly processes adds costs. –New Thinking: Green practices like recycling, reusing and reducing waste can cut costs because they make a company more efficient. 1.Profits come by increasing efficiency and reducing waste—but they don’t always come immediately. 2.Management’s leadership is vital in setting goals and getting departments to cooperate. 3.The front line workers have to be engaged to spot opportunities to reduce, reuse, recycle, and find other ways to create efficiencies. 4.Sustainability initiatives achieve maximum benefit from involvement of their supply chain. 6.Green initiatives foster creativity and can enhance competitive advantage. Let’s all be honest…that last point…competitive advantage is what really motivates business. So company sustainability initiatives cannot and should not be viewed through strictly an environmental lens, but through the balanced “sweet” spot of the Triple Bottom Line. 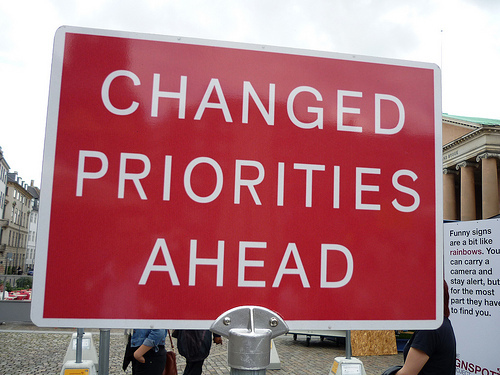 To paraphrase Guy Kawasaki in his book, Rules for Revolutionaries, what really matters happens at the edges. The action is not in the centers or areas of sameness. Organizations must challenge conventions and change the way products and processes are thought of and delivered. So take the Lean and Green challenge…do what Subaru has done and get to work innovating and creating. We live in a finite world with finite resources. The global marketplace is getting more competitive. Rules and Regulations are getting tougher- and more costly. That means that organizations must think sustainably before they act sustainably– by operating in a more resourceful and optimized manner, and in a way that responsibly manages resource use, reduces operational and environmental footprints and enhances employee and community well-being. This is also an exciting time that can spawn creative, productive places where people want to work, where technological innovation can be realized, profits are optimized, the environment is respected, and products have greater “choice value”. Yesterdays study released by AT Kearney (http://www.msnbc.msn.com/id/29097210/from/ET/) highlights how many forward thinking institutions highly regarded organizations that are taking the “long view”, adjusting planning horizons, and implementing effective, deep sustainability initiatives stand a better chance of surviving the current financial crisis that the world is in. Despite these ‘lean’ economic times on both sides of the cash register, its critical that manufacturing companies, service providers and even public agencies across all sectors continually seek “lean” and efficient methods to manufacture their goods and provide services. Process efficiencies with an eye toward sustainable resource conservation, sustainable supply chain and product life cycle management helps companies cut waste and remain competitive. So folks- keep up the good fight and don’t accept the excuse by decision-makers that “we are watching our spending” without inquiring about how effectively organizations are focusing on tracking life cycle costs and striving toward resource optimization.